Nazareth School teachers and staff help students come to a deepened awareness of their relationship with God, allowing their faith to find expression in their daily lives and choices. Students are provided weekly liturgical experiences, training for altar service as well as reflection on the values and moral principles which guide their choices and actions. 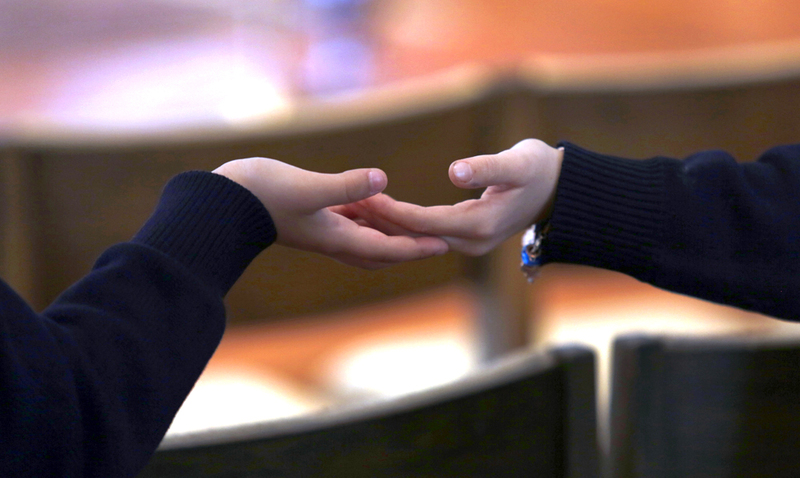 In addition to our weekly school-wide celebration of the Eucharist, students have an opportunity to receive the sacrament of Reconciliation (Penance) during the seasons of Advent and Lent. Retreat experiences and days of recollection are provided for our 8th grade students.